Performance management - Lee Wenyong & Co.
SME companies get what they measure. It is absolutely essential for SME companies to implement a thorough performance measurement system, especially in exiguous economic conditions. A well-designed performance measurement system will determine how & what business decisions executives will take, & how these decisions will be judged. A performance measurement system aligns all employees to the company’s shared goals & objectives, & encourages & motivates them to achieve the desired performance standards. Ultimately, a well formulated performance measurement system will ensure that shareholder’s interests are maximized. There are 2 types of goals: Absolute & Relative. Absolute goals, like a specific revenue target, unite executives & employees to work towards the same desired outcome, & allows companies easily track & report the company’s progress over time. Relative goals, like peer comparisons or market benchmarking, takes into account the changes in business environmental conditions & measures how the company is faring compared with its competitors. Relative goals are especially useful in highly cyclical industries, where absolute business performance may appear unfairly poor in down cycles, or conversely, highly unmerited in boom cycles. Once goals are established and agreed upon, the next step is to identify key success factors (KSFs) critical to achieving these goals. KSFs are the vital performance aspects that disproportionally contribute to a company’s success. The most effective KSFs are directly linked to value creation & are able to be controlled by company executives. KSFs are typically radically dissimilar across companies. KSFs differ based on the business strategy adopted, company/departmental culture & business life cycles. Even within the same company KSFs vary, depending on business unit, & it may change over time as the company matures. For example, a start-up’s KSF would be growth, distribution & adoption of its product or service, whereas a publicly listed company KSF would be focused on maximizing profitability & shareholder return. Once KSFs are identified, it is important to specify the time period over which performance is measured. In many instances, executive leadership decisions taken to kickstart the value creation process only become obvious in the company’s financial results years or decades later. When designing C&B plans, it is necessary to factor in both the short & long term financial & strategic targets of the business. Short & long term C&B incentives must be built so that they compliment one another, where short term performance must cumulate to long term strategic objectives. SME employee understanding of the performance matrices selected & implemented is critical to the success of the performance management system. SME executives must understand how performance measurement and management links back to their daily work contributions in order for them to make the right work decisions. 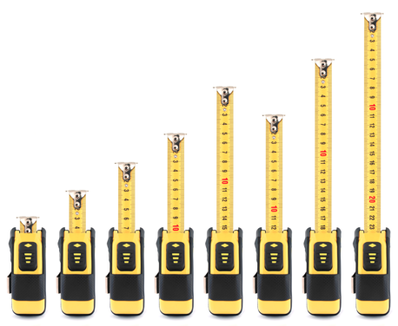 If measurement metrics are too numerous & complex, SME employees will be unable to figure out how to focus their efforts & the C&B incentives will be for naught. Employees need to relate to their respective performance metric in a meaningful manner. This connection is formed through formal education of the performance metrics selected & constant reinforcement of the measurement system throughout the performance management process.